When we got the call to design the bible — we obviously asked — the bible of what? … fashion? shoes? bible of best bars in Britain? 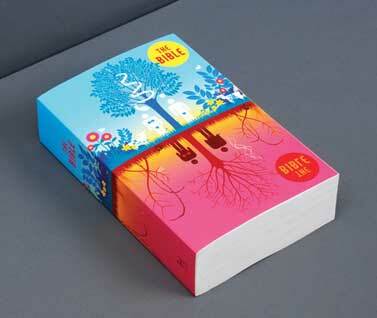 But no, Hodder & Stoughton really wanted us to design a cover for the Holy Bible. I quite like this design, particularly the big red “sticker” that says “The Bible.” I wonder if this is available outside of the UK?